Physical prototype is the source of innovation, which can transform our virtual idea into the real world to explore infinities the production process. Development of any product starts with the designing of the product. The conceptual design is then converted into a physical prototype. Development of physical prototype is an essential step of development of new product or new technology. It is usually made to evaluate and test design by the system analysts. A physical prototype can be anything from a simple handmade model to a fully operational model representing how the conceptual design will correspond to real-world conditions. Nowadays physical prototypes are easy to be manufactured by the introduction of various rapid prototyping techniques which are time-saving as well as cost-effective making a large number of effective physical prototypes in lesser time attracting a lot of customers due to better aesthetics and finishing of a physical prototype. A working prototype is a physical prototype developed such as it represents all the features of the conceptual design. A working prototype is also functional and will correspond to real-world conditions. A visual prototype is a physical prototype which is only developed to depict the appearance, dimensions, and shape of the conceptual design. A visual prototype is not intended to depict the functionality of the conceptual design. A functional prototype is similar to working prototype except that the functional prototype may be developed with a different scale and technique as that of the original product. It is a type of physical prototype developed such that it provides enough information about the product being developed that is to be used by the researchers for further research purposes. 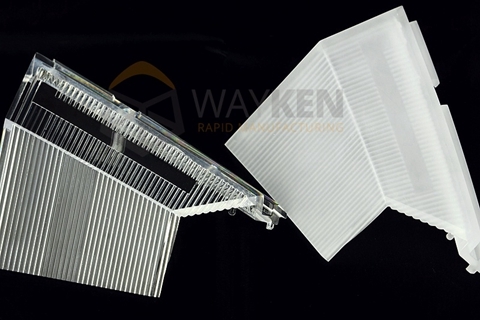 Prototype development is usually done by the employment of rapid prototyping techniques by the manufacturers. These rapid prototyping techniques are cost-effective and time-saving. Moreover, the prototypes produced by these techniques are effective and are appealing due to their aesthetics. These rapid prototyping techniques are making a mark on the industries and are a revolution. The fabrication of product is usually done by 3D printer or other additive layer manufacturing technology by utilizing the CAD model data. 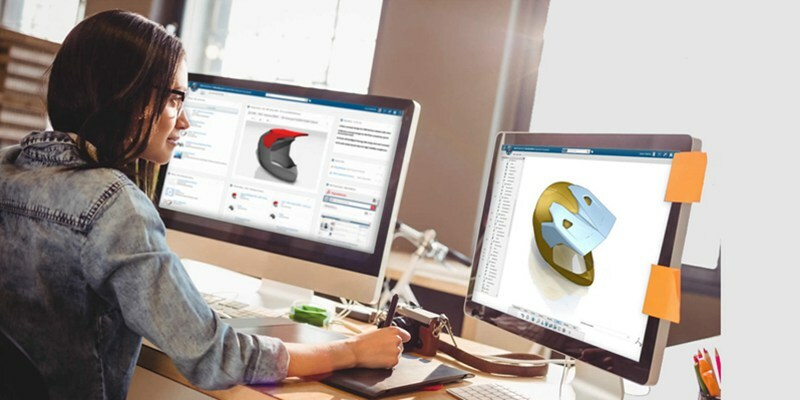 3D printing is a common rapid prototyping technique nowadays in which material is solidified under the action of a computer by using the data from a CAD model to form the physical prototype. The 3D printer is becoming popular among domestic and industrial customers because the material used in 3D printing is readily available and cheaper as compared to other manufacturing techniques. 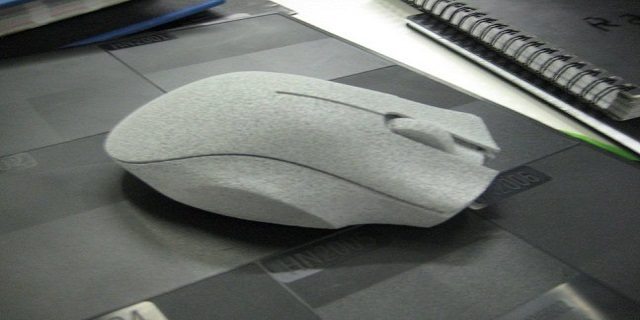 The modern modeling software is also aiding towards rapid prototyping. This software saves the CAD model in AMF format instead of STL format that produces lesser errors as compared to STL format. The interface of this software is also user-friendly making it easy for the users to design on them. Through the development of physical prototype before the beginning of actual production enables the manufacturers to take a look at any difficulty that could arise during the manufacturing operations. So any manufacturing operation can be edited or removed. This makes the production cost minimum. And enables the manufacturer to choose the optimal method for development of the product which will cost him least and will produce error-free and accurate products. A conceptual design can differ from the actual product which can create many problems for the manufacturer. This can be solved by first creating a physical prototype by any rapid prototyping technique so that the conceptual design can be tested in real-world conditions. This enables the manufacturer to review all the parts and amendments in the design can be made accordingly. Furthermore, each part can be evaluated and tested in real-world conditions which makes it easy for the manufacturer to look at any difficulty that could arise after the manufacturing of the product. A physical prototype will attract more customers as compared to a mere design. The customer can be explained the product better with the prototype as compared with the design. The customer will get to know the hidden features of the product by a functional prototype. Moreover, the aesthetics of the physical prototype due to the employment of rapid prototyping techniques can easily attract more customers. Hence the sales of the product can be predicted before the production of the product. A new design or product can easily be patented. With a physical prototype in hand, it is easy to see which features of the design can be patented and which parts need to be edited to be patentable. This protects the manufacturers from any lawsuit that can be filed against them in case of any similarity with an already patented product. Moreover, it is much easy to describe the key features to a patent attorney with a physical prototype rather than a conceptual design so that the patent can be filed. Although the engineers and developers try their best to minimize the differences between the prototype and the actual product. But in general, a prototype may differ the actual product in terms of the material used, the machining process, appearance etc. The material used for the final product is expensive and difficult to fabricate, so a prototype is usually made up of material which is easy to fabricate but with the material whose properties are identical to that of the final product. In some cases, the material used for the final product is not available so the prototype is made up of identical material. 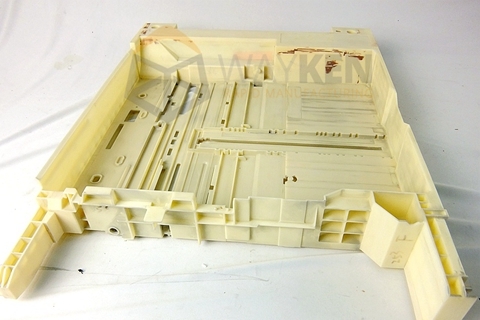 The difference in the material may change the appearance and finishing of the final product as compared to the prototype. Final products often are to be produced in large numbers so the manufacturing process may differ, where the final product is often developed by some mass production method which is cost effective and time-saving. This manufacturing process cannot be often used for the prototype as the material often is not the same. Moreover, fabrication processes of final product might be complex so the prototype is often produced using some simple technique. This also may lead to the difference in the appearance of the final product and prototype. The quality inspection techniques of prototype and final product may differ too. The final product that is supposed to be sold in the market undergoes various quality inspection tests. 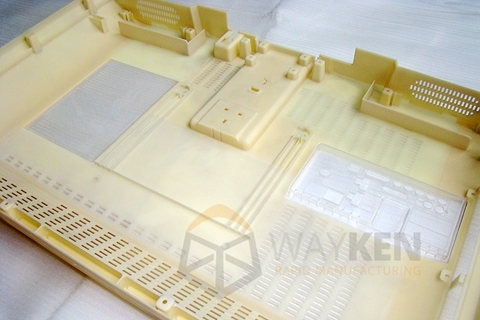 Whereas the physical prototype is not inspected in the same manner as the final product due to differences in the material and the manufacturing techniques. It is evident that the development of physical prototype is a necessary process in industries nowadays in order to evaluate and test the design before entering into the manufacturing phase. Moreover, the physical prototype predicts the cost of manufacturing and any difficulties that can arise during the process so that the manufacturer chooses the optimal cost-effective method. A physical prototype also attracts more customer as compared to conceptual design. And with the development of software and rapid prototyping techniques, it is no difficult to produce a prototype in much lesser time and with greater accuracy. It may differ a bit from actual product but it is effective in the sales of product in modern industries.